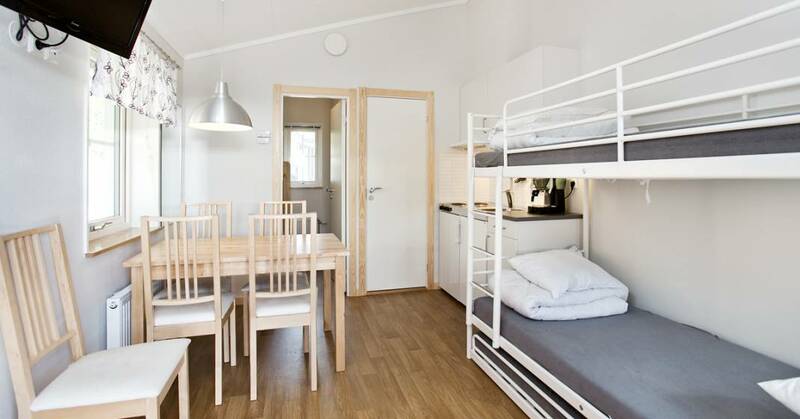 This cabin can accommodate up to five people (20 m²). There is a bunk bed for three people in the living room. 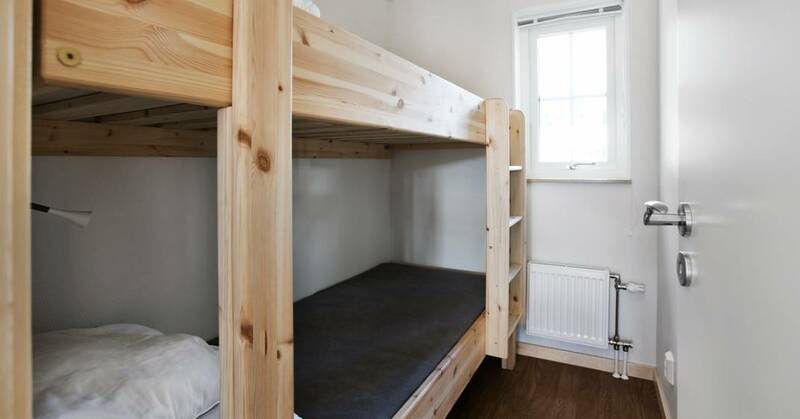 There is also a bedroom with a bunk bed. 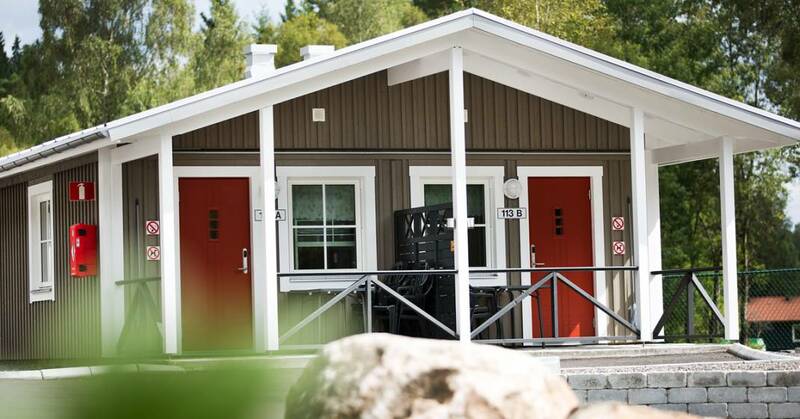 The cabin is equipped with a shower, toilet, hob, fridge, crockery, coffee maker, pots and pans, duvets and pillows. There is a small covered terrace with outdoor furniture. Parking space next to your cabin.